Hosa adapters are built for the long haul. 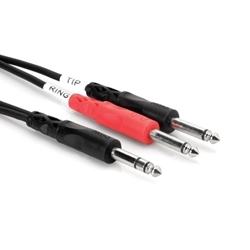 Touring musician and audio professionals use Hosa adapters and cables. Hosa is exceedingly popular, due in part to their reputation as being one of the most affordable and high-quality adapter lines in the market.